We don’t have a backyard. Our home’s always been full of felines. That is, until a face I couldn’t forget landed in my inbox. “Rocky,” a dog who’d been at the Toronto Humane Society for nine months, had experienced neglect for three years before the OSPCA became aware of his situation and removed him. When I read his description, I learned he was a palliative foster. He has severe anxiety and can’t be left alone. That weekend I suggested to my partner that we go for brunch. But when we got to River Street, I took a sharp turn and “somehow” ended up at the shelter. Alex is more practical than me, but after two weeks of deliberation, meeting in the middle still meant taking Rocky home. His first night with us was Valentine’s Day 2014. Thus began a daily ritual: dog walks! My favourite part of each day. Walking around the city opened a new Toronto to us. We keep funny hours and have seen all range of activities; you’d be surprised how many people don’t lock their car. Lock your car! People walk down the street trying every door. If unlocked, they’ll get in to check for change, or a mobile phone. We also discovered a local pool that we’d never properly clocked. Pre-dog, walking was only about getting from A to B. One of the most surprising outcomes is the amount of usable stuff people leave at the curb for collection. I’m at the point where if I don’t find something, I’m disappointed! Alex and I have picked up everything from iPods, designer clothes, a Dyson vacuum, stickers for McDonald’s coffee, a Cranked bike, two adult-sized banana costumes (same day) … to books I’d never normally choose but read and loved. So often when you find things, they’ve actually found you. If you feel icky about second-hand, consider the last time you ate at a restaurant or slept at a hotel. What could be more intimate than cutlery or sheets? Sometimes you have to flip things around to see the same thing differently. One night we came across artwork that was painted on a table top. 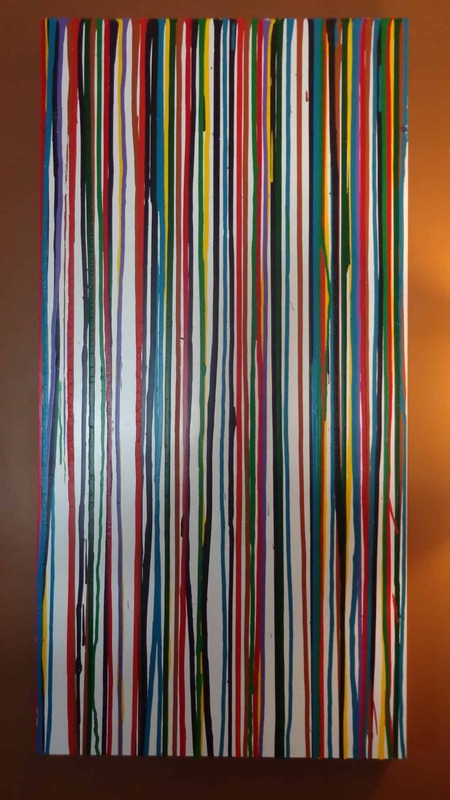 It was leaning against a recycling bin with a sign that said, “Take me.” Its colourful stripes look like someone stretched the London tube map to make all the lines straight. A bright picture was exactly what our place needed. We walked it home in the rain, wiped off the mud and figured out how to hang something so heavy. 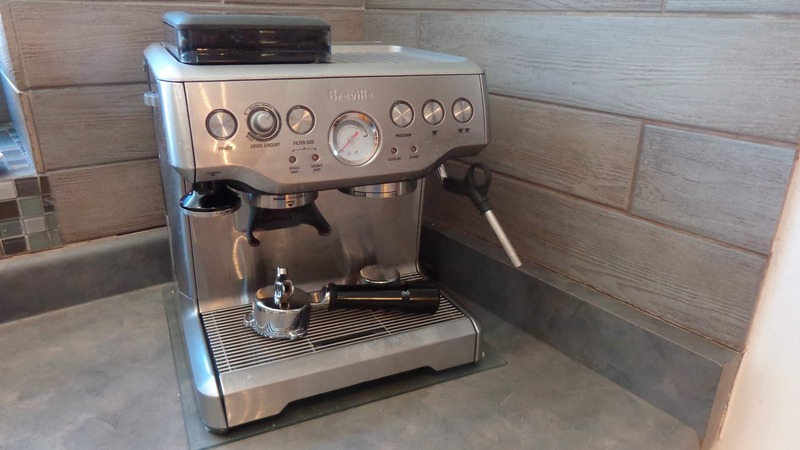 Nearly two years ago we found a Breville espresso machine. It was sitting off to the side in our complex’s common garbage room. We took a gamble and ordered the missing parts. Alex meticulously cleaned this coffee maker; there were toothpicks and Q-tips involved and many hot drinks made before we consumed the first one. This espresso machine is a big upgrade from my usual instant coffee and probably the best thing that’s happened to us that doesn’t have a pulse. We used to wake up, walk to our computers and get busy with work for hours. Now we take Rocky around town, eat breakfast and enjoy a latte, before booting up. Emboldened by the beautiful, weird and wonderful things we’ve found, I recently saw a black bin sack sitting outside the recycling room of a condo we walk by each day. It was late at night and I wanted to get home, but something told me to tap the bag with my foot. Clink! It was the sound of ceramic chiming together. Wearing winter gloves, I opened the bag gingerly. Inside I found (dramatic pause!) a white vase with blue flowers. I didn’t think much of it other than it would make a nice pot for our new orchid, one that had been dangling out of a dumpster the week before. 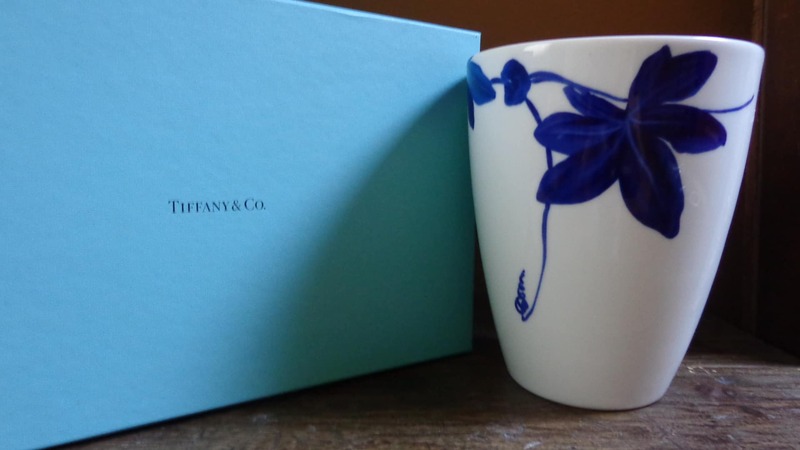 When I got home, Alex flipped the vase over and read the words: Tiffany & Co. Why was this treasure demoted to the landfill instead of donated!? I’ve always had a soft spot for things that have been abandoned. I think it stems back to my own experience in second year of university when my preoccupation with trying to lose weight was at its most debilitating. 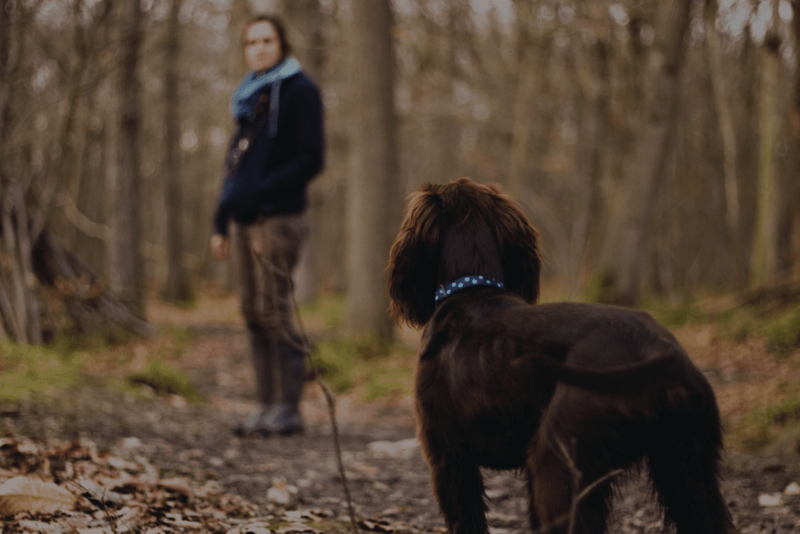 But when I finally opened up and asked for help, I was amazed how quickly a little guidance could steer me out of a deep, dark hole and get me back to being a happy, productive person. Now I always try to give things another chance. I hate waste. Whenever we tell people about the stuff we’ve found, they ask: What’s the best thing you’ve brought home? We always say Rocky; described in his shelter profile as a “hidden gem.” In so many ways he’s rescued us. Our Collie-Shepherd-many-other-dogs-mix has been a catalyst for countless healthy changes in our life. He’s helped us walk away from our work, meet beautiful people and find good sh*t. And he’s shown us that the city is our backyard. He still can’t be left alone. But the irony is, now we leave the house more often. P.S. I’m still obsessed with our cats. What’s the best (or most unusual) thing you’ve saved? Find out more about Kelly here.